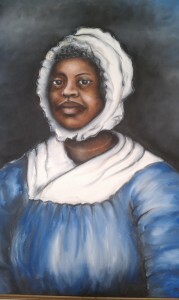 Currently, we are learning how brave people like Harriet Tubman helped to free slaves. But have you ever heard of Elizabeth Freeman? Freeman was a slave who lived in Massachusetts in the late 1700s in Massachusetts. Elizabeth Freeman sued for her freedom and won it in a courtroom! This entry was posted in Awesome Articles and tagged abolition, Abolitionist, Abolitionists, Elizabeth Freeman, Slavery by Cindy Espeseth. Bookmark the permalink. Slavery must have been really bad, so sad.